NEW BRITAIN - This week marks the first anniversary of Hurricane Maria’s devastation of Puerto Rico. But a year after the disaster, Connecticut residents are still trying to help people affected by the storm. 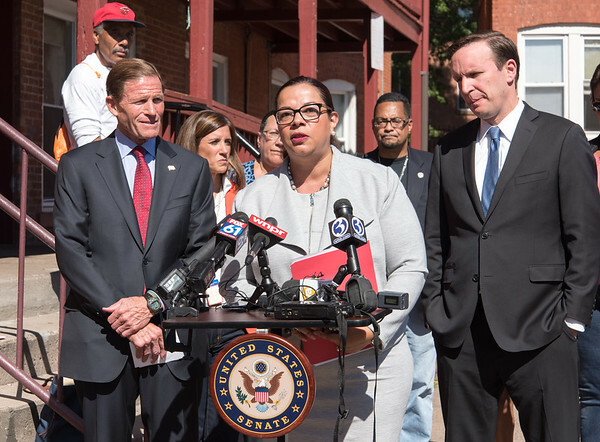 At one point, more than 200 families were seeking refuge with relatives in New Britain, severely testing the school system, social services and housing, said Marlo Greponne, director of planning and programs for the Human Resources Agency of New Britain. HRA knew early on - as did the Community Foundation of Greater New Britain, the American Savings Foundation and state Rep. Bobby Sanchez - that supplying food and clothing in the days after the disaster would be the beginning of what could be a years-long effort, Greponne said. The powerful storm devastated the island, which was left with no electricity or potable water. One Harvard study has concluded that there were more than 4,000 storm-related deaths, not just from the immediate impact of wind and waves, but also as the result of the lengthy power outage and the lack of access to medical care. Another study by George Washington University said the hurricane and its aftermath led to almost 3,000 deaths. 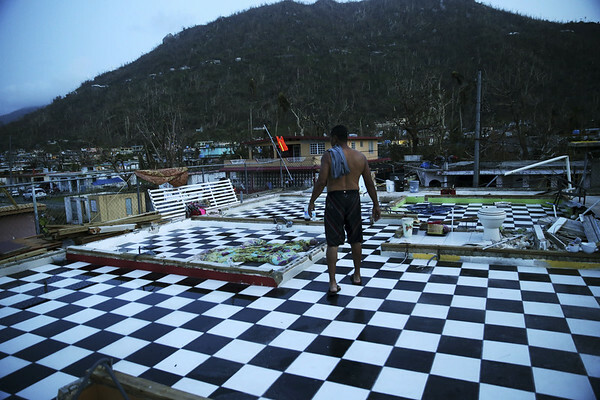 Officials from the Federal Emergency Management Administration are still running disaster recovery centers across the island that have helped 800,000 survivors. Although the U.S. territory has made strides in rebuilding, the work is far from over, said Dave Obedzinski, president and CEO of the Community Foundation of Greater New Britain. The foundation, along with the American Savings Foundation, Mayor Erin Stewart, Sanchez and HRA, formed a partnership to collect about $50,000 in donations for hurricane relief in New Britain and Puerto Rico. Most of the money is earmarked for rebuilding, Obedzinski said. Two community agencies in Puerto Rico are supposed to receive the money, but they aren’t ready to apply, he said. “They are still dealing with moving earth and with flooding,” Obedzinski said. The agencies will be able to apply when they are at the point at which rebuilding can take place, he said. Locally, the Salvation Army was given $5,000 of the money raised to help meet the needs of 105 families - 247 people - who sought refuge in New Britain with relatives, Obedzinski said. Another $5,000 was given to Community Mental Health Affiliates to provide support groups for 50 families with children to help deal with the anxiety and stress of having to relocate after losing everything in the hurricane. CMHA is providing bilingual clinicians who are teaching the families stress management, mindfulness and other coping skills to deal with the trauma of what they went through, he said. In the days, weeks and months that followed the storm, HRA New Britain became one of the lead agencies in the local relief effort, offering support and bilingual case management for 123 families, Greponne said. Many of the families were doubled up with relatives in New Britain. Housing continues to be a major issue, she said. The agency was able to get funding from the state Department of Social Services for 37 families consisting of 94 people. HRA is still working with 75 families that need support, whether it’s with housing, the language barrier or meaningful employment. Greponne gave as an example one refugee who had been a police sergeant in Puerto Rico. Now he is worrking in a restaurant and trying to make ends meet, she said. The influx of families is also impacting the relatives who take them in, she explained. Some New Britain residents receive federal subsidies for housing. By taking in family members whose lives have been destroyed by the storm, they are violating federal Department of Housing and Urban Development rules, Greponne said. In the end, it will likely take another few years before the Hurricane Maria relief effort can conclude, she said. With Hurricane Florence making landfall Thursday evening in the Carolinas, the hurricane season is picking up. Tropical Storm Isaac is expected to make its way through the Caribbean this weekend and skirt Puerto Rico. Posted in New Britain Herald, New Britain on Thursday, 13 September 2018 21:34. Updated: Thursday, 13 September 2018 21:36.